Ancient Japanese gods and monsters are unleashed on modern-day London in this first book of an epic trilogy from acclaimed fantasy writer Zoë Marriott. When Mio sneaks the family's katana—a priceless ancestral sword —from her parents' attic, she just wants to spice up a costume. But the katana is much more than a dusty antique. Awakening the power within the sword unleashes a terrible, ancient evil onto the streets of unsuspecting London. But it also releases Shinobu, a fearless warrior boy, from the depths of time. He helps to protect Mio—and steals her heart. 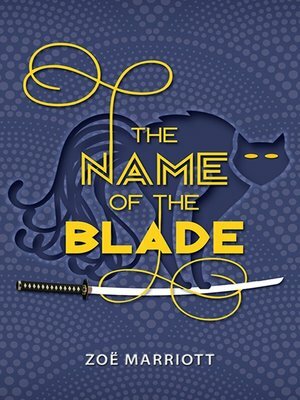 With creatures straight out of Japanese myths stalking her and her friends, Mio realizes that if she cannot keep the sword safe and learn to control its legendary powers, she will lose not only her own life . . . but the love of a lifetime.